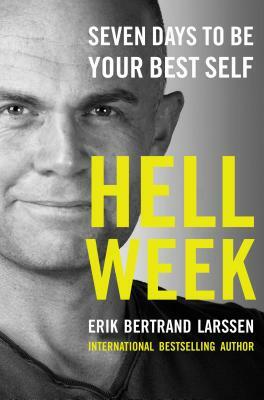 From world-renowned mental trainer Erik Bertrand Larssen, whose clients include Olympic athletes and Fortune 500 CEOs, Hell Week is a military-inspired yet accessible guide to making the critical changes necessary for long-term professional and personal success and overall lifestyle improvements. Central to his technique is the commitment to live and experience just one week as your best self. It's this week, Larssen says, that will be the catalyst to making the most of the rest of your life. Offering accessible tools and pragmatic, inspirational advice including how to incorporate exercise into your daily routine, Larssen's game-changing Hell Week shows you how to apply his principles to everyday life, leading to lasting improvement, personal and professional success, and most importantly, a new way of living to a higher standard. Hell Week will resonate with and inspire you to be the best you can be and make everlasting positive changes in all aspects of your life.